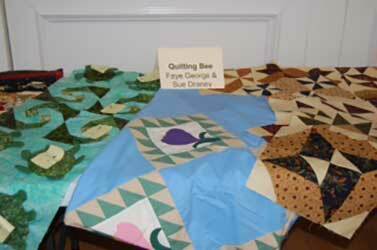 In the past, our group was a quilting bee where quilters brought their own projects, worked at their own pace cutting, piecing, quilting or binding the quilts. We shared techniques, information and helped each other. Now, we are excited to change the format of the group where we teach a project in which the participant would finish a simple quilt top in seven or eight weeks. You could choose to piece a lap top quilt for an ill friend, a baby quilt for that new baby in the family, or a youth quilt for your granddaughter or grandson. During the winter session, we will be teaching how to piece this 48” x 58” quilt top that can either be a baby quilt, youth quilt or a lap quilt. This quilt top can be finished in the seven winter sessions (with work at home, of course). You choose your motif and fabric. After the quilt top is finished, we will discuss whether you want to quilt it yourself (machine or hand quilt) or have it quilted on a longarm machine. If you need guidance, we’re here to help. We supply the pattern and instruction. If you would like more information about this, contact Sue Draney or Mardy Wooden. Looking forward to spring session, we will teach a different project and next fall, Mardy is planning a holiday project. Quilting is a great hobby!